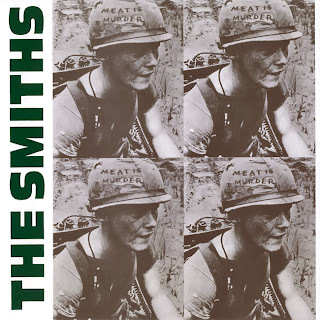 Both Stereogum and Slicing Up Eyeballs have great posts today on today's 25th anniversary of The Smiths' 1985 album, Meat is Murder. What else could I possibly add to that? Accordingly, today, I focused on the 10th anniversary of the release of The Cure's Bloodflowers and the seventh anniversary of the release of The Entertainment System's "Celebrate Black Wednesday" single.